What is a consent order? McKenzie Friend can offer all of the guidance you need to represent yourself in court. Contact us today to find out more! Mckenzie friends can provide a low cost alternative to Solicitors when going to court. Contact us today and we can put you in touch. It sounds like a nightmare scenario: you’re swamped in a legal minefield of confusing paperwork and nerve-wracking court dates, worried, for example, that one incorrectly-placed signature might cut you off from your children, yet there just aren’t enough pennies in the bank for advice from a solicitor. Enter a McKenzie Friend, an experienced contact who can offer you high-quality guidance without the mind-blowing price tag, helping you to navigate your case and represent yourself in court with confidence. Interested? Read on to discover just who McKenzie Friends are, and how they can help you through these trying times to work towards your desired outcome. What is a McKenzie Friend? More commonly encountered today than in previous years due to the drop in available and accessible Legal Aid, McKenzie Friends are nevertheless not newcomers to the legal scene. Both the concept and name stem from a 1970 case, in which a legal professional who was not qualified to practise in the UK offered advice to a litigant who had been financially prevented from obtaining representation in court. Whilst this first instance was controversial, the case and subsequent appeal set the stage for the frequent use of an advisor in this manner in circumstances where persons are representing themselves, without a solicitor or barrister. Such self-representation is more common than films and sitcoms would have you believe, and with high-quality guidance, it need not be as daunting as it might seem. The person representing themselves is known under these circumstances as a Litigant in Person, whilst the advisor is called a McKenzie Friend. Many of those who become McKenzie Friends on a regular or professional basis have previously themselves been Litigants in Person within the family court system, and seek to use their experiences to assist others who are going through the same, or similar, processes. Some may have studied law or worked as paralegals, but without becoming qualified solicitors, whilst others may have backgrounds in mentoring, social work or the third sector. In most cases, McKenzie Friends are motivated by both a strong interest in legal matters, and their passion to help others, which leads them to conduct reliable research and build up a vast body of valuable knowledge. Legally speaking, you could engage a friend or acquaintance to act as your McKenzie Friend, but choosing an experienced professional is highly advised, as they will be better equipped to offer detailed and accurate assistance. They may be unknown to you, but will nevertheless take their time to listen, answer any questions, and create an atmosphere of both trust and open and productive communication. How can a McKenzie Friend help? A confidential consultation to discuss the needs of the Litigant in Person. Help with completing, and proofreading of, pre-court forms and paperwork. Advice on preparing a convincing position statement for each hearing. Editing and proofreading of statements. A clear and jargon-free explanation of the legal procedures involved. Clarification of specific legal terms. Advice upon pre-court negotiation with solicitors and barristers. Offering support in regards to communication with ex-spouses, and other family members against whom a Litigant in Person is standing. A briefing on the day of court attendance. Accompanying Litigants in Person during court procedures, remaining professional and calm at all times. Taking accurate notes in court. Providing quiet advice to a Litigant in Person over the course of a hearing, such as which questions are appropriate for a Litigant in Person to pose to witnesses, or specific issues that may be beneficial to raise. A post-hearing debrief and discussion of both their notes as well as the next steps that either the Litigant in Person or court may take. Various forms of moral support; in some cases just the knowledge that an approachable and knowledgeable person is present in court is enough to calm jittery nerves! Is there anything that a McKenzie Friend may not do? Generally speaking, a McKenzie friend is present in court to support the Litigant in Person, and is not permitted to address the court or to ask questions of the witnesses. In some exceptional circumstances they can be granted the right to carry out these actions, which is known as being granted the,”rights of audience,” for a case. However, this is a relatively rare occurrence, so if you decide upon self-representation, it is best to assume that you yourself will be conducting your case in court. Also, it is important to note that whilst a McKenzie Friend can look over, edit and proofread forms and statements, it is always the Litigant in Person who must sign the final documents; any papers signed by a McKenzie Friend will be deemed invalid. Likewise, they cannot write letters on your behalf, nor directly communicate with opposing solicitors or family members, but their behind-the-scenes advice will guarantee that these potentially stressful interactions run much more smoothly. Can a McKenzie Friend assist me with my case? Most probably! The McKenzie Friends with whom we work are highly experienced in all areas of family law. Whether you are facing ancillary relief hearings, in the midst of a child custody battle, or dealing with a non-molestation or occupation order, a McKenzie Friend can offer all of the guidance you need to represent yourself in court. How do I get in touch with a McKenzie Friend? As mediators, we work together with a number of independent McKenzie Friends, and should you decide upon self-representation, we will be happy to help you find an advisor with a skill set to match your needs. In order to achieve an optimum partnership, it’s important to think clearly about which areas of the legal process you would like assistance with, as well as any issues which may arise in the future, and to bear in mind that individual McKenzie Friends work in set geographical areas and may charge varying, (but much lower than a solicitor’s!) fees, including their own travel expenses. Contact us today to get the ball rolling and obtain high-quality, dependable, and affordable support. 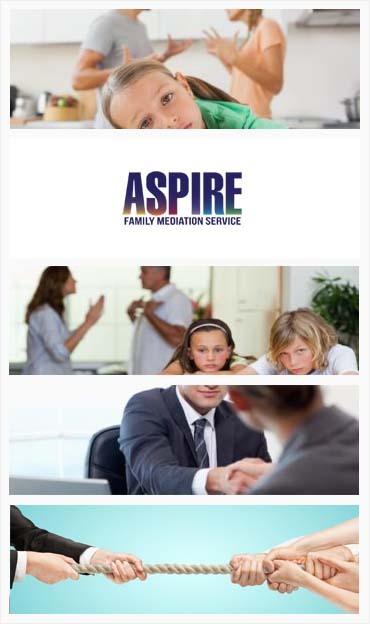 First choice for family mediation. We offer an unrivaled service for couples separating and divorcing in and want help from an impartial skilled professional mediator to move you forward. We have offices in and across and offer both sole and shuttle mediation. Use the company who many Solicitors across the capital refer to.